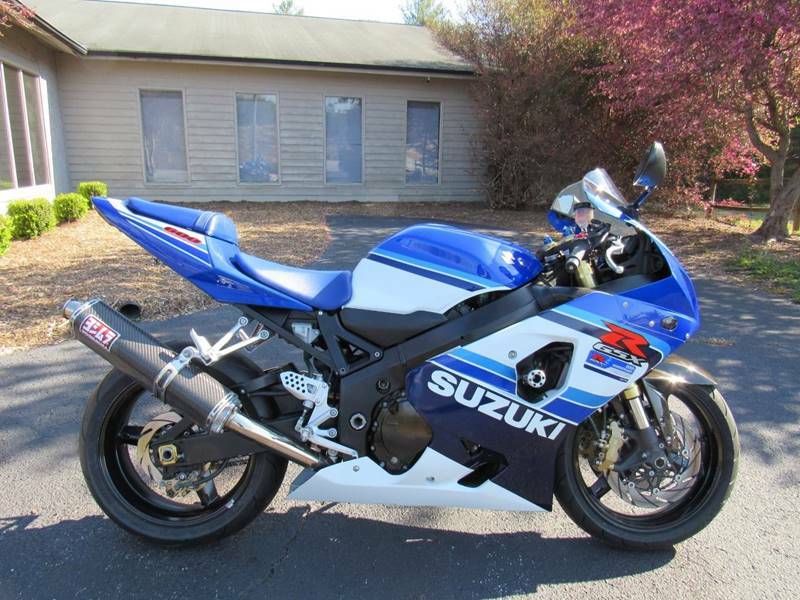 Could you provide more information about this 2005 Suzuki GSX-R600? 20th Anniversary Edition, New rear tire, Power Commander V, Yoshimura Carbon Fiber slip on and a K&N air filter. Fresh oil and filter. Ready to ride! What is the price of the 2005 Suzuki GSX-R600 you have in your inventory? What is the mileage of the 2005 Suzuki GSX-R600 you have in your inventory? I was wondering if this 2005 Suzuki GSX-R600 is still available?